“I will retire at age 40” - this was my fearless forecast for myself, determined to be free of the need to work by this age when life is supposed to begin. I envisioned myself giving my full time and attention to my family. This dream I got, with an unexpected twist. After only a few years of working with a commercial bank, my husband and I decided to take a leap of faith and opened our own business. The rewards outdid the challenges. We were a two-man team performing all the roles to keep a business going and flourishing. After about 10 years, my husband took the lead while I found myself answering to the call of community service. The position: Chairman of the Board of Directors of a Credit Cooperative in Manila. The goal: To rehabilitate the Cooperative which was in a very delicate financial condition. The position came with all the bells and whistles in terms of authority, prestige, and respect. What many didn’t know was that there was hardly any talk about pay. I accepted the position as a way of giving back for this Cooperative which was our main source of funding from the time we opened our business. The return was to come much later when we found ourselves facing our own financial challenges. During the six years I worked for the Cooperative, my husband provided for our family’s needs wonderfully. I decided to retire after six years, feeling accomplished not only because I was leaving it in a stable financial condition but also because I was leaving it with land and building to its name. And so there I was, smugly claiming my dreams for retirement at age 40 after giving birth to my youngest child. I became a full-time homemaker while my husband continued with the business. It was during this time that I discovered writing, initially as a hobby and eventually as a means to earn while at home. Nothing can be more perfect. Two years into this, that perfection was shattered. During a routine physical check-up, an anomaly in my husband’s heart was discovered. Our world was literally turned upside down. When my husband was asked to slow down at work and had to eventually close the business, I had to step up. I made a career out of my online writing and was rewarded for my efforts accordingly. As our children grew however, it became evident that we needed to earn more due to the ballooning expenses. Education was very expensive. Add to that the fact that we were just starting to pay for our home improvement loan when sickness struck my husband. I literally felt I was drowning. Amidst the protestations of my husband and eldest child, I made a decision to go back to work. My explanation was very simple. When faced with challenges that threaten the welfare of the family, one does not ask why. The question is how one can contribute to the solution. It was final, I will look for work and retain my most critical writing jobs while my husband takes over the rest. I did a job search online and found an ad from Convergys Nuvali. Apparently, it was ramping up on hiring Customer Service Representatives for a particular account. I just asked one question from the contact person indicated in the ad. Is there an age limit? The answer was none. With that out of the way, I came knocking on the doors of Convergys at the age of 50. I will not proceed to lie that my level of confidence was high on the day I applied. Having zero call center experience and seeing applicants young enough to be my children created doubts in me that I almost turned my back and gave up without even trying. I forced myself to go through the application process and was rewarded with a job offer before leaving the premises. It was liberating. The training period that followed was not as uneventful as I had hoped it would be. I passed the English training part easily but cannot say the same for the technical/product training. I would dread doing the mock calls and floundered repeatedly in navigating the system. I probably wouldn’t have passed the training without the solid support of my wavemates. While my mommy teammates were morally supporting me, my younger teammates literally carried me through by volunteering to be first to do the mock calls whenever that darn fruit machine mocked me by picking me first. My first day for actual calls was an epic fail. Accounts were piling up one after the other as calls came in before I even had the chance to close each, after every call. Customers were getting angrier instead of being pacified. 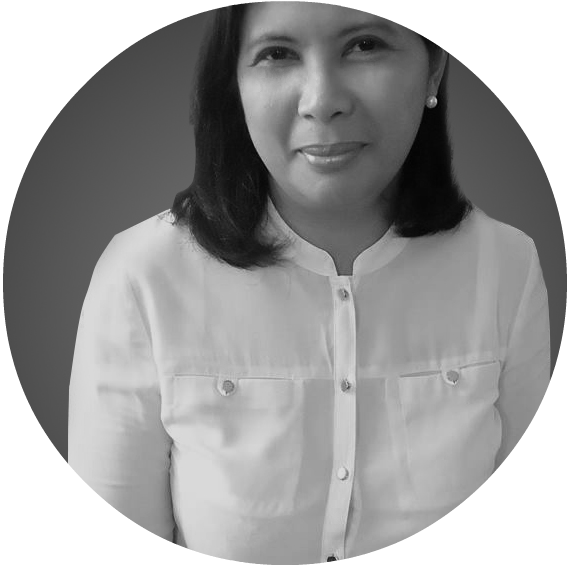 I was supposed to be an experienced public speaker, thanks to my stint at the Cooperative and my speaking engagements as a writer/blogger, but there I was shaking to the core as I answered calls. I can only think of one thing: What have I gotten myself into? It was truly a humbling experience. For the first few months, I went home always on the verge of tears due to exhaustion and confusion. I refused to let my family see me this way for fear that they will call in the caravan to make me stop working. It wasn’t easy and I didn’t always succeed in hiding what I really felt. One day after being rebuffed by a supervisor on the production floor for asking what I suppose was seen as a stupid question, I finally burst into tears upon closing the car door when my husband fetched me. I was ready to hear the worst “I told you so” statements from him. To my immense relief, he just kept quiet and allowed me to cry and cry and cry. After some time, he asked why I was crying. I answered that I felt so stupid and that is a very difficult thing to accept. He then asked if I wanted to resign and I said no. He added, “What do you want to do now?” and I simply answered “go to work tomorrow”. He smiled and told me not to worry as it will become better in time. He further assured me that I will always have my family to go home to whatever happens and that comforted me a lot. That is why I love my family so much. We can argue to the highest level but once a decision is made,we support each other all the way through. So eventually, it did get better. I am now much more comfortable in my work. I am thankful for all the learnings provided by trainers, supervisors,co-agents, and even customers. I am thankful for the friends I’ve gained in all age brackets. 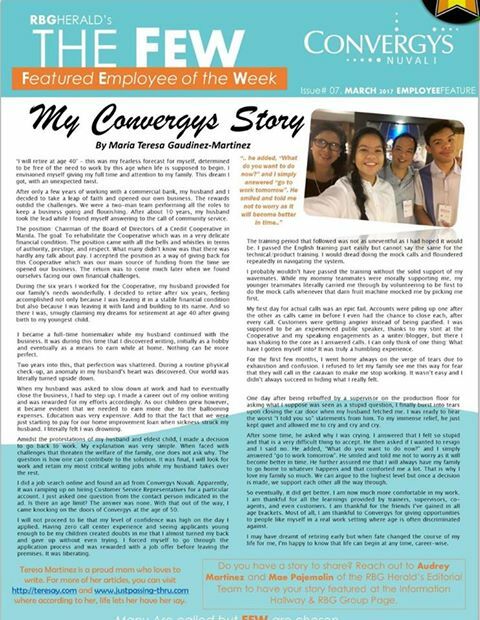 Most of all, I am thankful to Convergys for giving opportunities to people like myself in a real work setting where age is often discriminated against. I may have dreamt of retiring early but when fate changed the course of my life for me, I’m happy to know that life can begin at any time, career-wise.